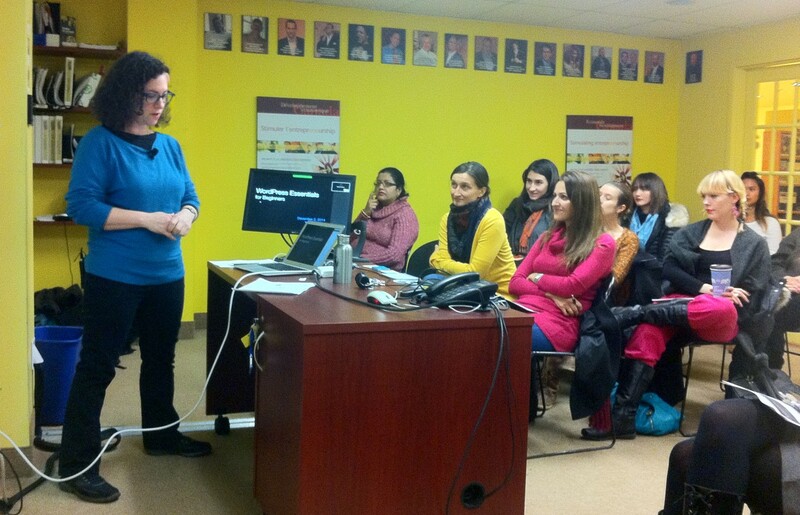 Earlier this month I gave a free, two-hour intro to WordPress workshop at YES Montreal. It was part of their women and technology program, geared to helping folks find technology-related jobs or start their own business. I love teaching beginners – guiding people to those “lightbulb” moments when they finally understand the difference between posts and pages, tags and categories, or some other WordPress particularity. While I enjoy watching the participants pick up a ton of knowledge, I’ll admit that I have an ulterior motive for doing these workshops. Once you’ve been using WordPress for a while, it becomes easy to forget what it’s like to learn all this stuff from scratch – the sense of overwhelm, the “why isn’t it simpler” frustration. As someone who does tech support for a living, I find it immensely valuable to have my beginner-memory refreshed once in a while. Being surrounded by people just learning the ins and outs of WordPress reminds me that not much is as obvious as it seems after using a tool for a while and becoming completely comfortable with it. These intro workshops are like getting a WordPress-empathy booster shot. I’ve brought over two pages devoted to WordPress resources for beginners that had been living on another site: WordPress Resources Online, and WordPress Resources in Person. Feel free to check them out and pass them on.